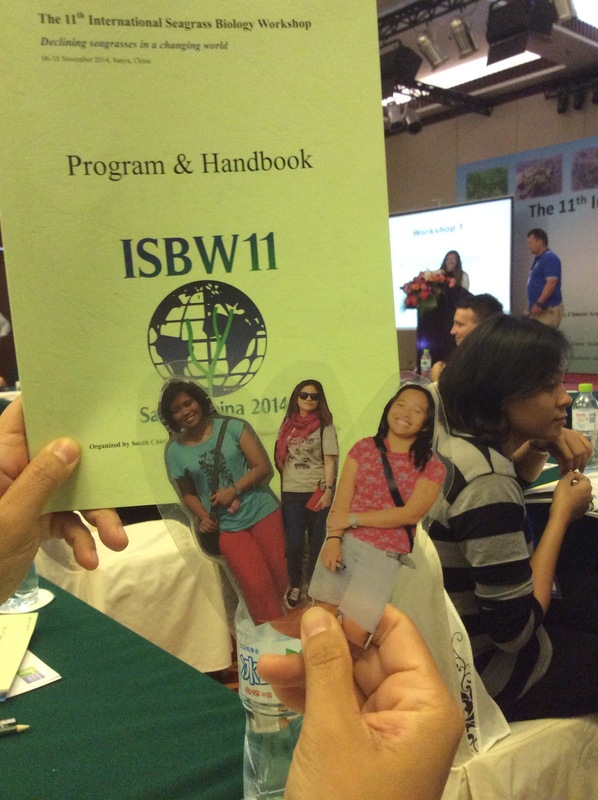 Hello from ISBW11 in sunny Sanya! 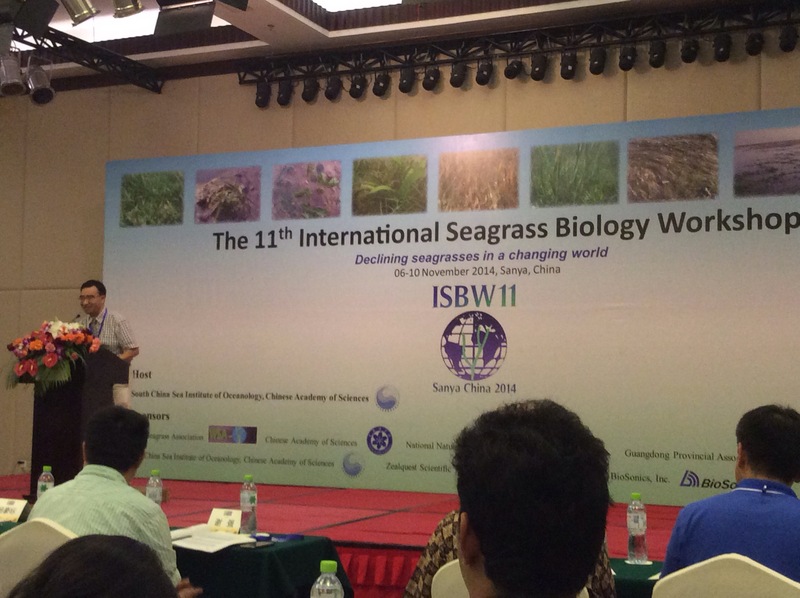 Prof. Xiaoping Huang and the local organizing committee welcomed us and officially opened the ISBW this morning with welcome addresses from representatives from the South China Sea Institute of Ocenanology at the Chinese Academy of Sciences, World Seagrass Association and local representatives. The two plenary speakers for day 1 were Fred Short and Massa Nakaoka. 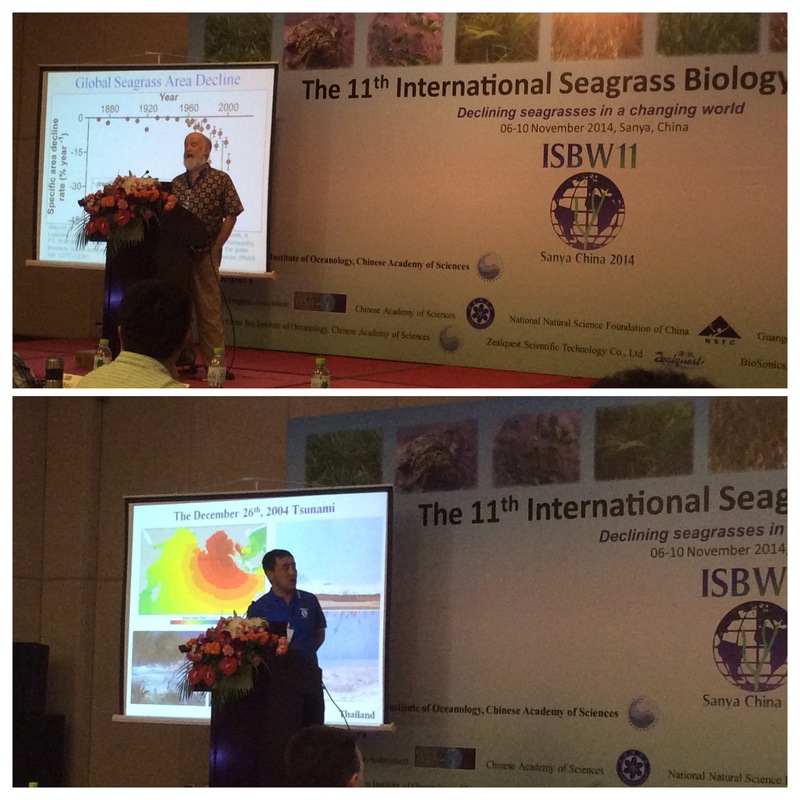 Fred gave an overview of the global state of seagrass and what tells us about our oceans, and Massa spoke about the impacts of catastrophic events on seagrass meadows. 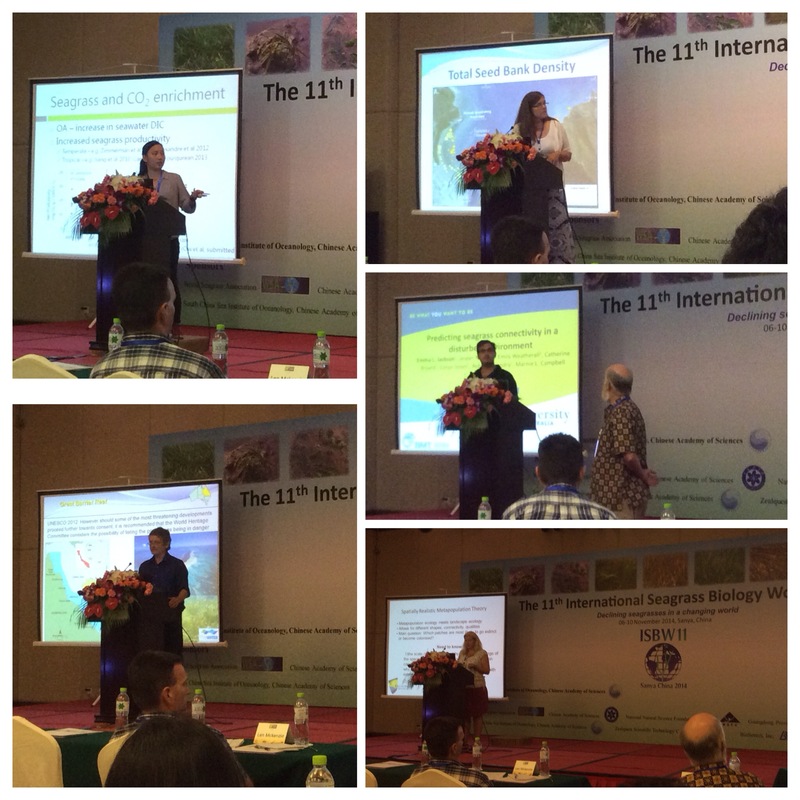 The speakers in session 1 on ecosystem vulnerability and resilience gave a range of interesting talks – a promising start to what looks like a stimulating conference. There are some who couldn’t physically be here for the conference but were lucky to have a colleague who agreed to bring a manifestation of themselves to be here in spirit (and photos).